The Aalto University has succeeded in producing the mycelium of the chanterelle under laboratory conditions. 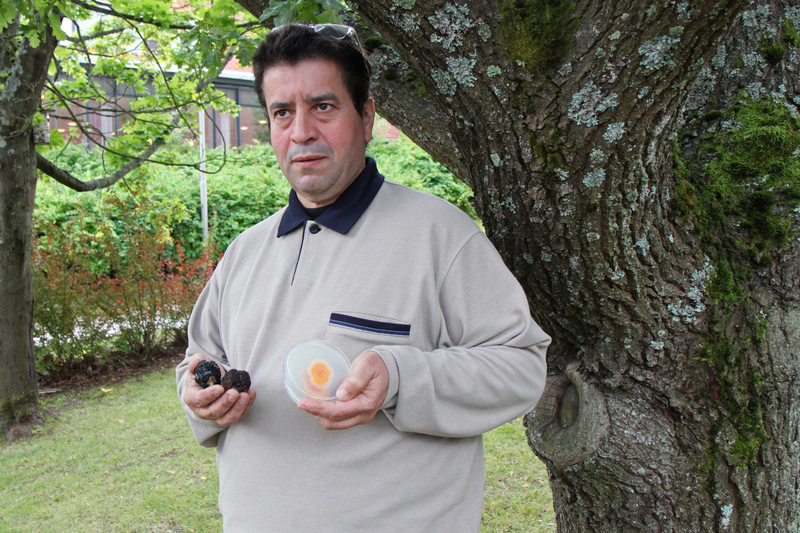 Senior researcher Dr. Salem Shamekh believes that in the future, forest owners can increase the crop of the chanterelles in their own forest by applying methods developed by Aalto University and Juva Truffle Center. Until now, the cultivation of this popular edible mushroom has been regarded as impossible. 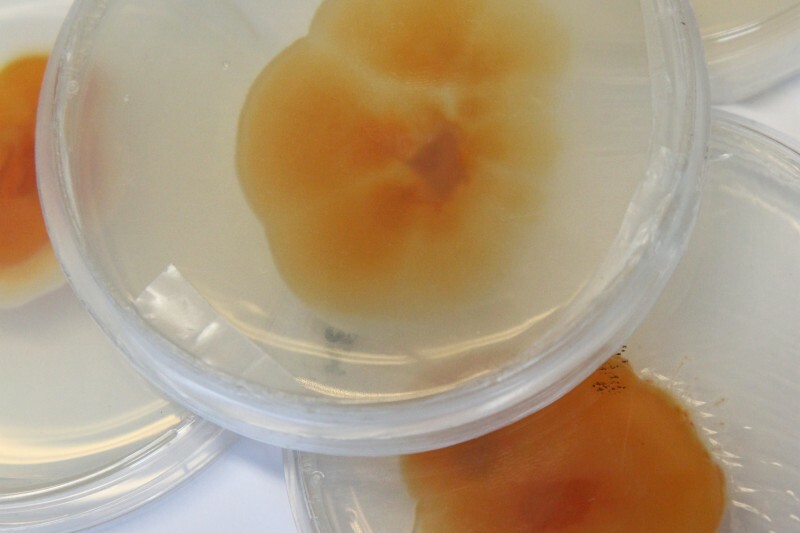 The colour of the content in the petri dish is unmistakable – the mycelium growing in the shallow lidded dish looks a bit like a medusa, but is definitely as yellow as a chanterelle (Cantharellus cibarius). Dr. Salem Shamekh, senior researcher at the Aalto University University and director of Juva Truffle Center, is very proud at being able to show the chanterelle mycelium. The chanterelle is one of the most difficult fungi to cultivate. It refuses to grow on culture media contrary to, for example, the common mushroom or the shiitake, and only accepts the soil found round birch or pine trees. Although the mycelium now grows well under test conditions, there is still a long way to go before everyone can plant the yellow fungus in their own home garden. The first inoculated birch seedlings grow at the experimental field in Juva and in a natural forest nearby the city of Salo as a laboratory scale experiment. More research and additional funds are required. Shamekh is very certain of the profitability of the chanterelle research at the Aalto University. He does not understand why research on an important edible mushroom has to struggle to receive funding. “The chanterelle is considered as the national mushroom by many Finns,” he says. Dr Shamekh has ten years of experience on fungus cultivation, which has been thought to be impossible in Finland. Before the experiments with the chanterelle he focused on truffles. The research centre is located the municipality of Juva in eastern Finland, where the research team cultivates valuable summer truffles. “The idea of cultivating truffles in Finland was considered crazy and it had no credibility. It was not yet known that truffles also grow naturally in Finland,” Shamekh describes the situation as it was ten years ago. Since then, the whitish truffle growing naturally on pine roots, as well as in composts and potato fields, has been found in Finland. The researcher praises the Juva municipality for having welcomed the valuable fungus open-mindedly. An example of how the truffle capital of Finland shows its appreciation are the truffle safaris, where anyone can learn how to look for these valuable mushrooms. The research institute is a cooperation project of the Juva municipality and the Aalto University of Helsinki. It has received funding from the local action group Rajupusu Leader, from European Regional Development Fund via the Regional Council of Southern Savo and from Tekes, the Finnish Funding Agency for Innovation. There are currently over thirty truffle orchards in Finland. In 2011 one of them was planted in the garden of the President of Finland’s summer residence in Naantali. According to Shamekh, both the truffle and the chanterelle improve the quality of forests. The mycelium protects the tree roots from diseases and holds back the undergrowth. Shamekh points out that the truffle is a perfect partner for the forest owner. While forests usually generate financial benefits 80 years after being planted, a truffle farmer will gain an income from the same forest within a few years – assuming the truffles will thrive. In Juva, the first harvest took six years to come. 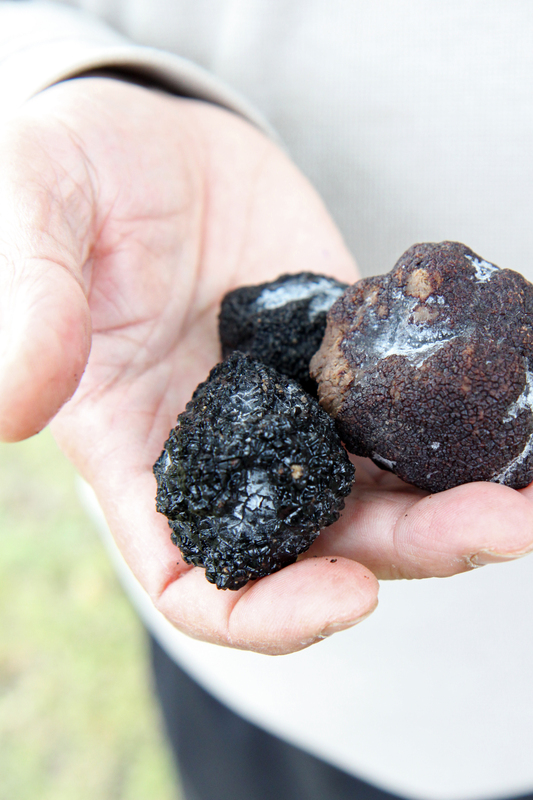 Three summer truffles were found in 2012. They weighed a total of 91 grams. Even a harvest this modest was a major scientific achievement for the researchers. The Aalto University had succeeded in developing a cultivation method suitable for Finland. Shamekh believes that the Juva Truffle Center will only need funding for a few more years. After that, the mushroom farm will start to generate a profit. The price per kilo of the truffle species growing in Finland is EUR 300–600. At the Juva Truffle Center anyone can buy tree seedlings inoculated with truffles. Although the fungus favours oak, it also gets along well with birch and pine rootstock. In return for the seedlings, the Truffle Center asks the buyer to provide information on the success of the truffles. In this way, the centre can study the cultivation of truffles all over Finland. Shamekh assures that the climate of Finland is suitable for cultivating truffles. But even in a forest, a mushroom farm needs some work. The plantation must be watered if the summer is dry, and the soil will also benefit from overturning, so that other vegetation does not use up the nutrients needed by the fungi. Correction, 13.11.2017: The name “golden chantarelle” substituted by “chantarelle”. The same species (Cantharellus cibarius Fr) was sucessfully isolated from sporocarps and grew on the culture medium, but also formed mycorrhiza with its host plant in Japan in 2011 (it has been reported in one Japanese artical). Japanese pervious experences may could speed up the further research of this project. “Golden Chanterelle” is not the English common name of Cantharellus cibarius. That is just called “Chanterelle”. “Golden Chanterelle” is the common name of another member of that family – Craterellus/Cantharellus aurora – literally “Golden”, translation of the latin. So getting this common name wrong really confuses people. Thank you for your pertinent observation. It seems that the name ‘Golden Chanterelle’ is sometimes used for the Chanterelle, but since this name also refers to completely different species, we will remove the word ‘Golden’ from the text.